Bob, Robbie and Leah Maass ready equipment for planting season on their farm near Ellsworth, Iowa. With a declining farm economy, trade with vital global markets in disarray and immigration policy in flux, Perdue confronts an agriculture industry in search of stability. In his initial budget, Trump suggested a 21 percent cut to USDA’s discretionary spending, so Perdue will want to jump into Washington policy discussions quickly. In the Corn Belt, however, it is planting season. That means that most farmers are less worried about Washington and more focused on the weather. As thirty-five-year-old Robbie Maass and his parents Leah and Bob open the sliding doors on their machine shed near Ellsworth, Iowa, light from a heavy, grey day streams in to show off their giant, blue 16-row planter. Bob Maass kicks the tires and taps at the wheels to knock off mud from last year. The Maass family is ready and waiting, Robbie says, for drier weather. 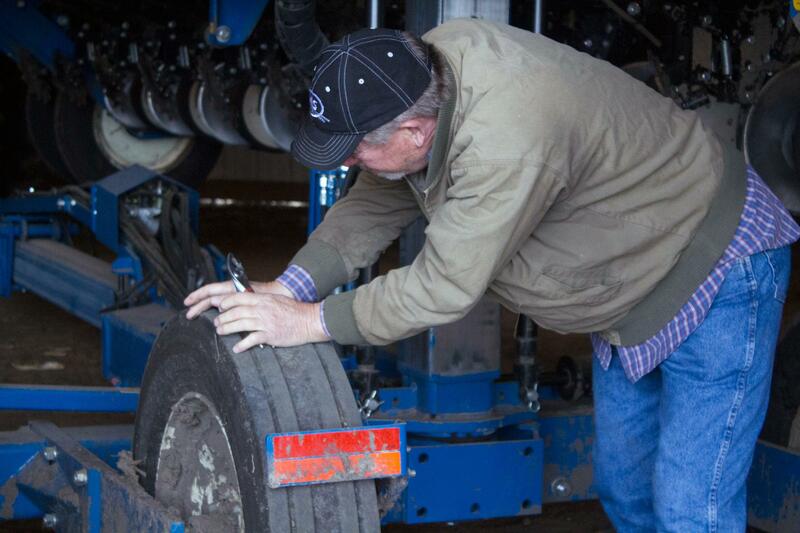 Bob Maass gets a planter ready. Leah Maass says they have also been waiting on Sonny Perdue’s confirmation. But the slow process has not bothered her. She is confident he’s a good man for the job. Perdue grew up on a farm, trained as a veterinarian, worked for decades in family agribusinesses and served two terms as governor of Georgia. While in office, Perdue was dogged by complaints that he was still involved in the family businesses. Some environmental and consumer groups say he is too cozy with industry. But Maass says Perdue’s farm background and experience as an executive will be good for agriculture. Many of the nation’s large and influential agriculture and commodity groups support Perdue’s selection. Questions remain, however, over the Ag policies Trump will ask him to pursue. Take the budget, Shelley says. Rural groups, agriculture industry groups and food stamp advocates worry about the president’s proposed cuts to the Agriculture Department’s discretionary spending. By the time the agriculture secretary starts work, budget discussions will be well underway. Does Perdue have any shot at contributing to those conversations? “Oh, I'd say the hope is about zilch,” Shelley says. The slow action on an agriculture secretary speaks to how farm and rural issues rank in Washington right now, Shelley says, echoing a common refrain. “I think it is crystal-clear that this is not the No. 1 objective of the current Republican leadership at either end of Pennsylvania Ave.,” Shelley says. 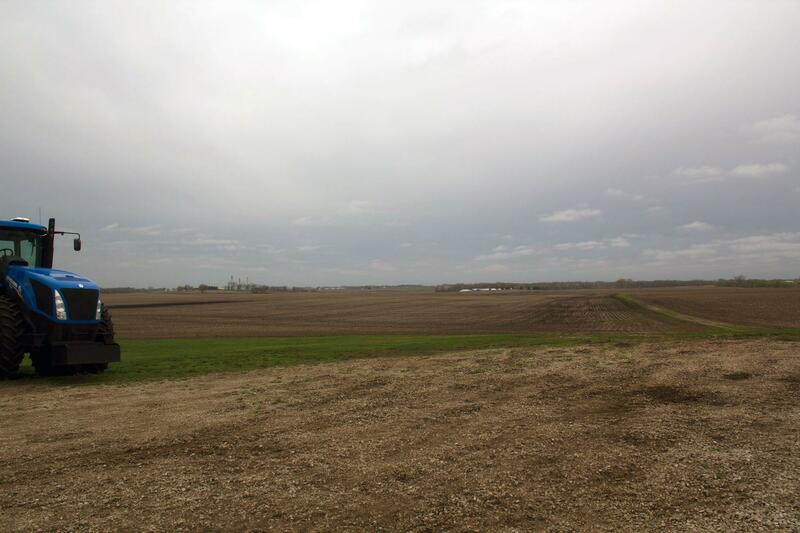 Spring is planting season for Corn Belt farmers like the Maasses. That, he adds, may not sit well with farm country voters who turned out in large numbers for Republicans last fall. “That's basically running the risk of poking your fingers in the eyes of your supporters,” Shelley says. While the Department of Agriculture has been without a secretary, producers have also grown nervous as farm economics was swept up in tough talk over trade. Mexico, for example, the biggest foreign buyer of U.S. corn, is threatening to get its grain instead from South America. Farmer Kurt Hora, who heads the Iowa Corn Growers Association, says that would be a serious blow to U.S. farmers. Hora worries that among the President’s proposed cuts to agriculture is money spent on promoting U.S. products abroad. “We want to make sure that we don’t lose those markets because it takes a lot more to get a market back than it does to maintain and build one,” Hora says. Leah Maass, for one, is willing to be patient with the Trump administration.